Some days I feel overwhelmingly grateful for my life and all of the opportunities that Zack and I have! We took a few days to venture up north to celebrate our first anniversary, and despite heading out with camping gear and our passports, the trip was even more of an adventure than I expected. 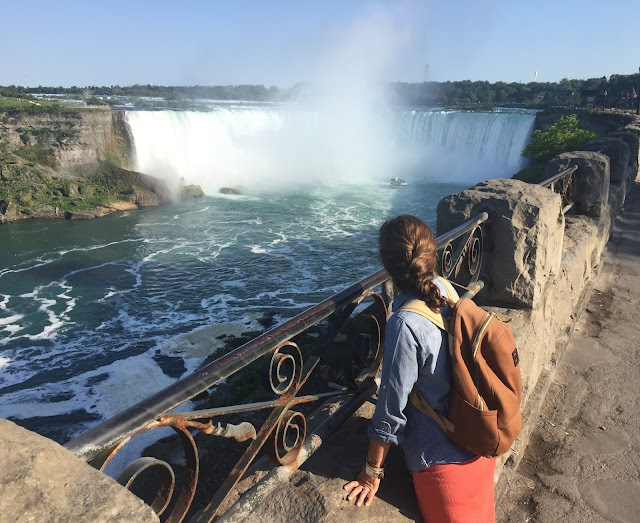 We explored Niagara Falls from every angle (on the Canadian side). We walked all around, went behind the falls, and rode a boat to the falls. I hadn't been there since I was six years old, and this time I feel like I said "this is amazing!" a hundred times. It was definitely worth seeing, and spending about 24 hours there was perfect! 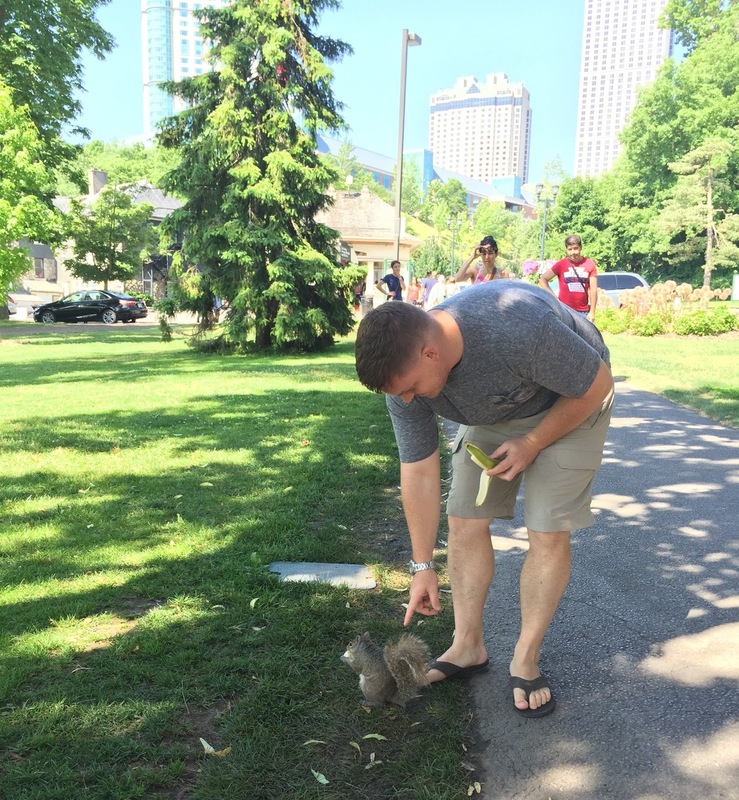 This squirrel was obviously friendly to the tourists, so we fed it banana and tried to pet it. 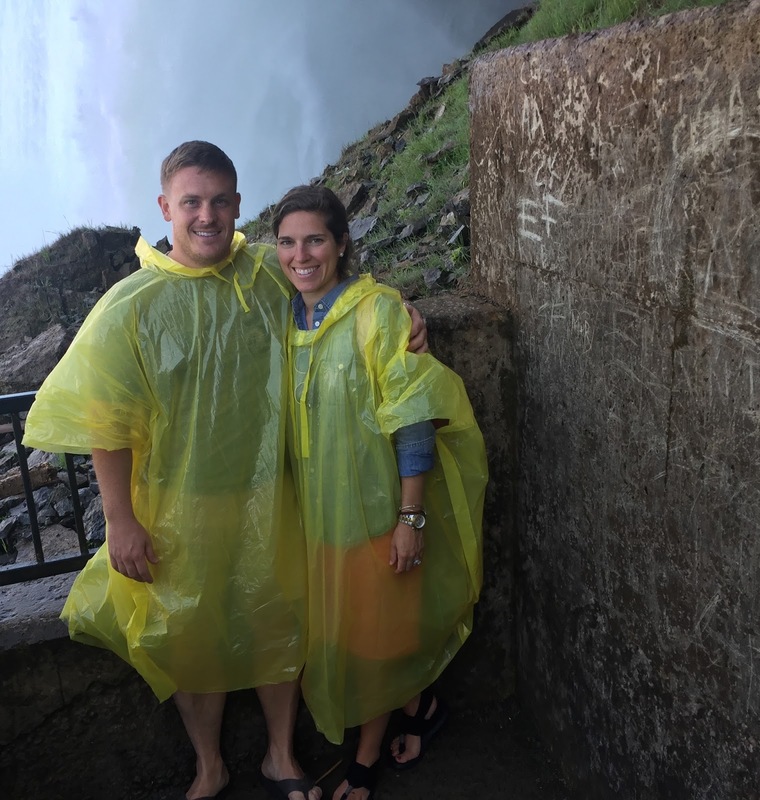 We rode the Hornblower and got close enough to Horseshoe Falls to get soaked. A short drive away is a small town without the big city touristy feel. Zack had eaten at this cafe in the winter, so we stopped in for lunch before heading to the airport. Let's be real: most of our trip was spent like this, in an airplane. He tolerates selfies sometimes. 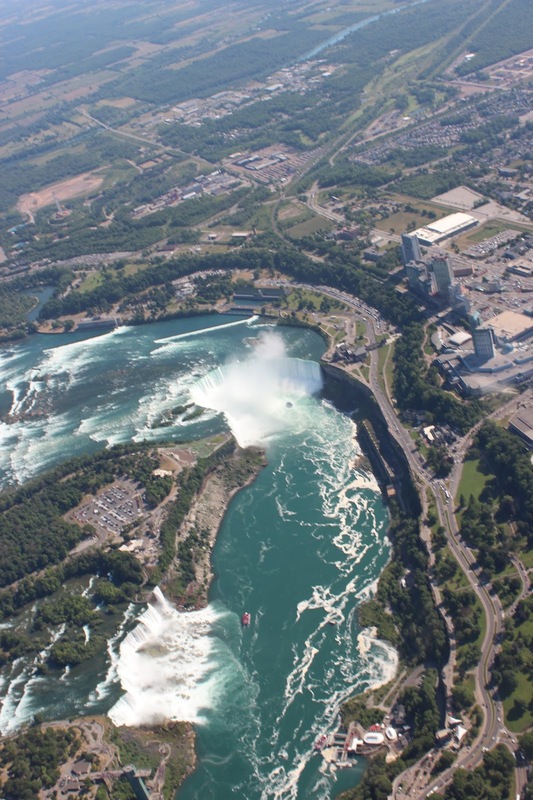 Before heading to our next stop, we explored Niagara Falls from the VERY BEST angle, as we flew right over!!! 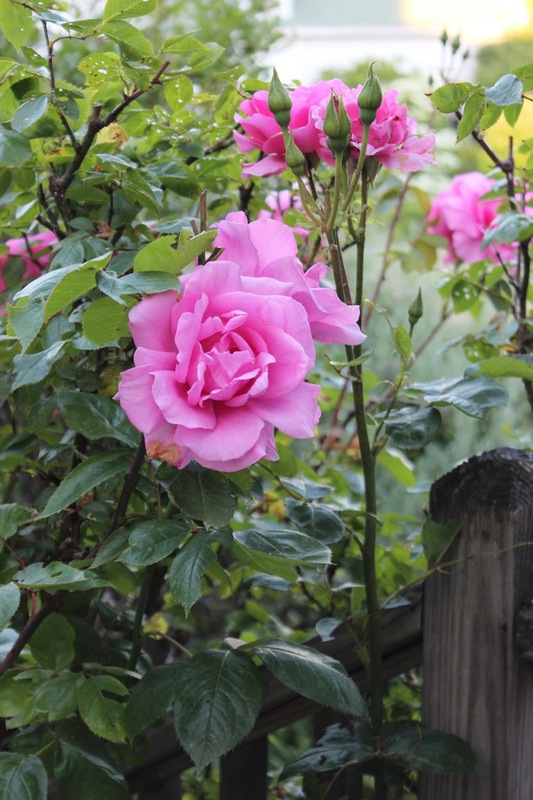 We considered several places and made a last minute decision to go to Basin Harbor, Vermont. 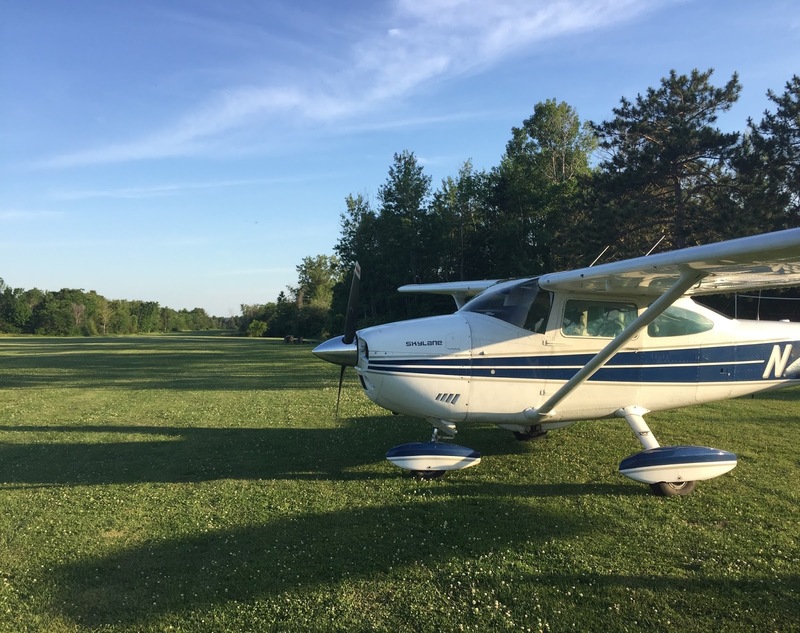 This grass strip and the nearby resort were an absolute dream. We enjoyed a sunset over Lake Champlain. We may have almost crashed a wedding for this shot. We enjoyed a little time by the water that evening and the next morning. There was a dog festival going on so no shortage of dog/people watching. 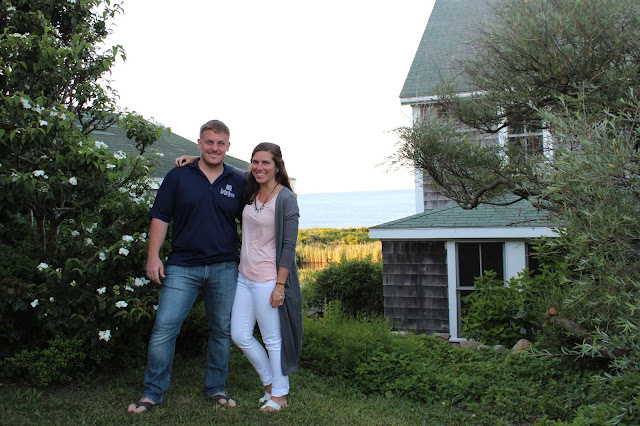 The only place we'd planned to stay was Block Island, on the third night of our trip. I really enjoyed the charm of the bed and breakfast where we stayed, with gardens and a view of the salt ponds and ocean. Our second day on Block Island, we rented a scooter to see more of the island. Zack said that if you think warm thoughts, Block Island has the feel of a tropical island. The landscape reminded me of the Bahamas, and the temperatures reminded me of December in the Bahamas. It was a welcome break from the sweltering heat at home! We walked the beaches to the North Lighthouse, then we had to see the South Lighthouse, too! The Mohegan Bluffs were gorgeous! I am so glad we decided to see the south end. It really wasn't as bad of a climb as the information online led me to believe. I would totally live in leggings year round if I lived in Rhode Island! It was COLD (for summer)! I'm so thankful that I packed leggings. We enjoyed breakfast overlooking the salt ponds before heading out. We stopped in Fredericksburg to avoid some weather and have lunch. This just so happens to be where AOPA's offices are located ;) and the coolest thing is they give tours! 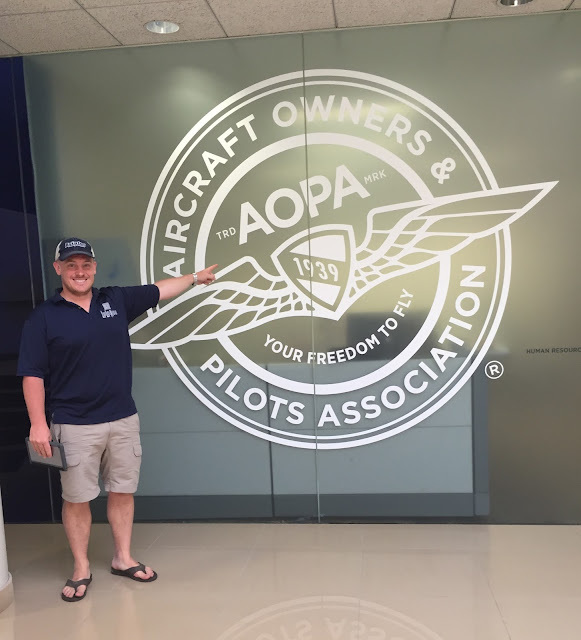 We enjoyed seeing where the people work to support AOPA members. Lunch was Black Hog BBQ & Bar, and it was unexpectedly delicious! We had a nice trip, and I got to see a lot of new-to-me places! It is kind of unreal to think that we have been married for one whole YEAR. It seems like last week and like ten years at the same time. I am thankful for the chance to get away and celebrate! The area is so touristy but the falls themselves are amazing. Worth a visit! 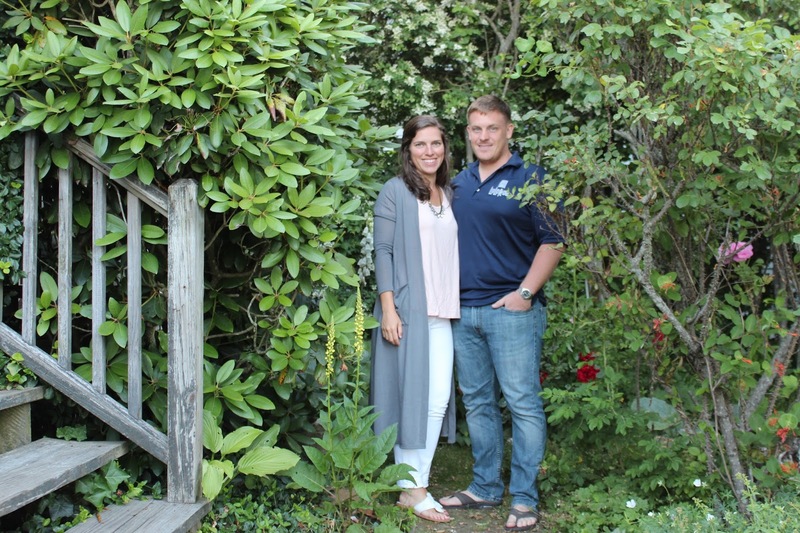 💛Absolutely LOVE seeing these pics AND reading your narrative - HOPE you don't stop writing your blog!!! Looks like it was a fabulous time. Would love to be able to fly too...pretty much the world is yours when you can do that.